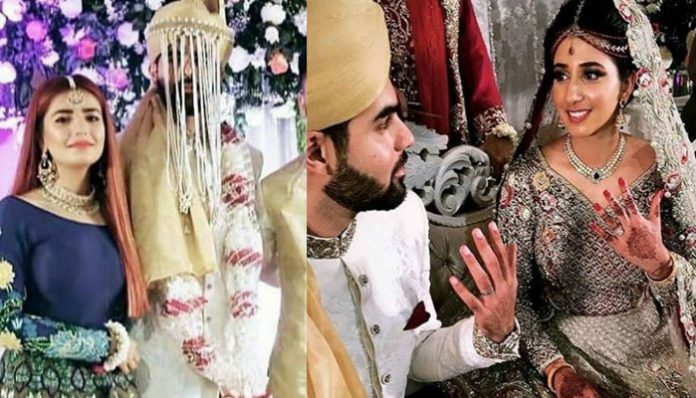 Famed Pakistani singer and Coke Studio sensation Momina Mustehsan’s brother just got married. The wedding festivities were filled with fun and sparkle. While we are in awe at how beautiful the couple looked, we are totally loving Momina Mustehsan’s styling as well. Momina kept us updated over the wedding on her Instagram and this wedding is something you need to follow. Groom woo the bride with Mirza Ghalib famous lines of poetry in a unique fashion. Afreen … Afreen famed Momina Mustehsan songs cherish the audiences with her voice. 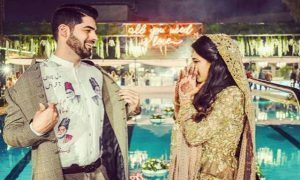 Momina Mustehsan’s brother Hashim tied the knot with Faryal Qureshi and their wedding affair photos went viral through social media. Celebrities from showbiz and media also attended the event.